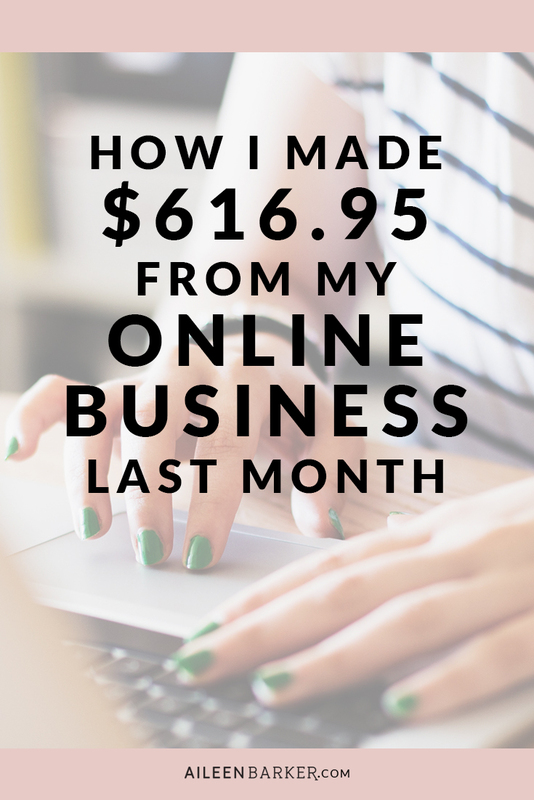 I include all of my online business income and expenses from blogging, design, and any of my other business income streams. The only income I don’t report are my Jamberry commissions (due to their policy to not share earnings) as well as any extra income I make selling items which I do regularly to simplify and declutter. All other sources of income and the related expenses will be shared here. Even though January is a little bit down from December I’m calling it a good month. I got my design project done and I’ve been working on a course that should make February a great month! I also started a small etsy shop which I’ll share about in a couple months once I have a better idea of what’s going on with that. It’s a fun little shop for me and gives me some passive income even when I’m not working on it. My expenses were pretty high in January. I bought a webcam and a microphone for my computer so that I could start recording video for my course that I’m launch in February and doing webinars, too! So stay tuned for that. Other than that I had several domains renew recently so I had to pay a good chunk for that. As far as social media goes, I’ve been working on growing my pinterest account and am starting to really work on Instagram too. Facebook isn’t something I’m focused on and twitter I’m not 100% focused on, but I am popping in there daily. I have for the most part. I’m still working on staying ahead. I was sick for the majority of January so I cut myself a little slack. This is my #1 goal for February and something I’ve been working on in January as well. I’m so excited to share it with you guys in the coming weeks. Continuing to grow my email list is going to be one of my top priorities. I hit my goal last month and I think I can hit it again this month! HOW WAS JANUARY FOR YOUR BLOG OR BUSINESS? WHAT ARE YOUR PLANS FOR FEBRUARY? Well sheesh, Aileen. I’m so excited to see your growth! 400 subscribers is crazy awesome. Is there a link to see all of your income reports (I want to link you in a post)? What do you think played the biggest role in getting subscribers? This is great! Love your blog, thanks for sharing.